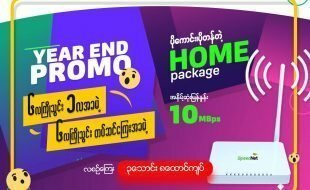 Today, we take a close look at one of the new kids on the block: Spectrum Life Net Core, wireless Internet service provider in Myanmar. According to our sources, Net Core has more than 500 customers as of today. Net Core is quite active on the social networks, and don’t hesitate to invest in Facebook advertisement to drive awareness. On the downside, we have read a significant amount of negative comments on Facebook regarding their customer service and service performance itself. Technology-wise, they join the pack of ISP using unlicensed spectrum (WiFi) for the last mile. We already talked about this technology number of times and raised concerns about the increasing number of players sharing the same band especially in Yangon. Unlike MyanmarNet, Net Core uses outdoor antenna to limit interference and protect its signal. This is definitely a good thing. However, our mistery shopper experience was a bit confusing and worrying. The customer agent claims that they could carry the signal over 1500m which seems reckless for Yangon. Most of the ISPs don’t even try to go beyond 1000m in urban areas. It gives us the feeling that Spectrum Life ISP is looking at acquiring customers at any cost. As for the upstream, we got the information that Net Core is using MPT for Internet connectivity. Net Core is not a full fledged ISP as we found no reference of an active Autonomous System (AS) in Myanmar. Though, we did find a registered (but not active) AS for Spectrum Life so we believe they have plan to become full fledged. In the meantime, they need to rely on MPT for Internet upstream and cannot get any sort of diversity / redundancy (via Ooredoo or Telenor for instance). 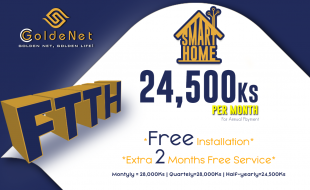 First, Net Core has no fixed fees for installation, cost will be based upon survey result. Installation cost is estimated between 150 and 250$ which looks quite expensive for a wireless installation. For this price, you don’t even get a Wifi router for your home. It is definitely not competitive compared to MyanmarNet or Bluewave Broadband. These plans are prepaid and should be paid 1 month in advance. To find out how NetCore stands against competition, check out our Internet plan comparison. Our main takeaway is that Net Core offers competitive prices in line with other WISP as for the recurring fees. Which is good news and bad news: it means there is nothing to tilt the scale on its favor. Plus, the setup fee will be an issue for a lot of potential customers. Regarding NetCore coverage availability, it is hard to get the full picture but we can assume it covers mainly Yangon. Net Core is not ready to provide residential services anywhere else in Myanmar but recently demonstrated interest to acquire high sites in Mandalay to launch a wireless network. In conclusion, we notice that a lot of ISP’s have popped up in Myanmar and especially in Yangon over the past few months. Myanmar government issued an impressive number of licenses and we expect more players to launch in the near future. However, some of them like Netcore are not shaped to become large players. To target the mass market and grow their customer base exponentially, they would need to invest significant amount of time and resources. We don’t see NetCore going into that direction but there is nothing wrong with a niche strategy. We are convinced though that there is no room for 100+ Internet players in Myanmar, no matter how big the country is. 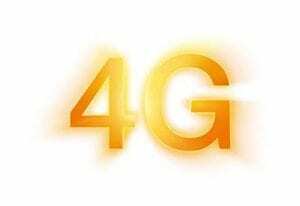 And there will be consolidation at some point that will be fatal for the ISPs that couldn’t find their niche or secure strategic assets (wireless spectrum, fiber right of way, international gateway license…). 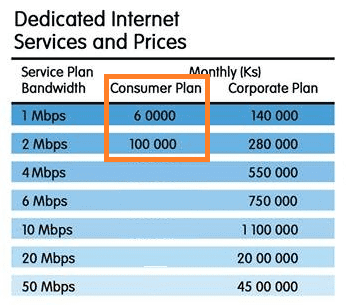 Next PostWhy is Internet so expensive in Myanmar?